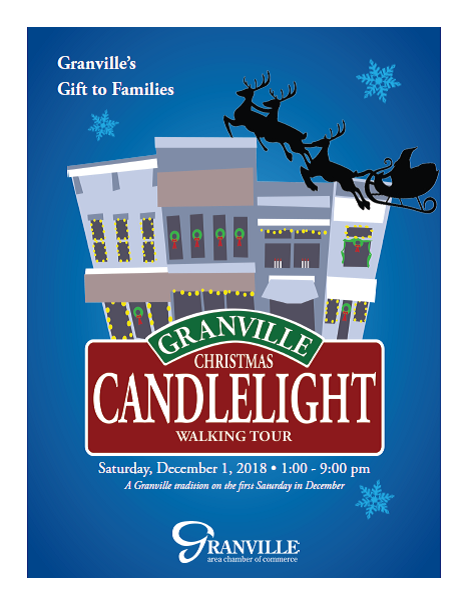 of one of Granville's most treasured traditions. The 2018 Program is READY! We know you have been eagerly anticipating this years schedule of events and here it is! You can download the complete program by clicking the button below. We can’t wait to see you Saturday! Participation forms are now available at the chamber office! Thank you to our 2017 Tree Sponsors! Enjoy browsing the gallery of photos featuring our 2017 Tree Sponsors! 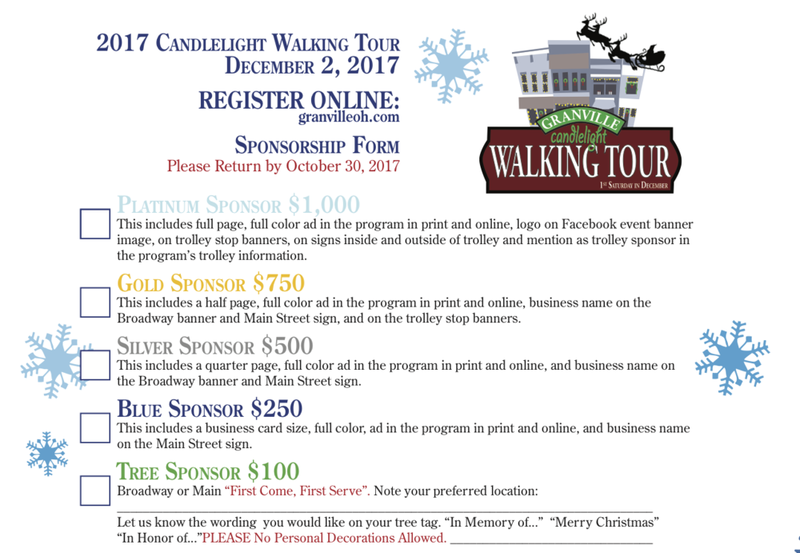 Please thank and patronize the sponsors of the 32nd Annual Christmas Candlelight Walking Tour! 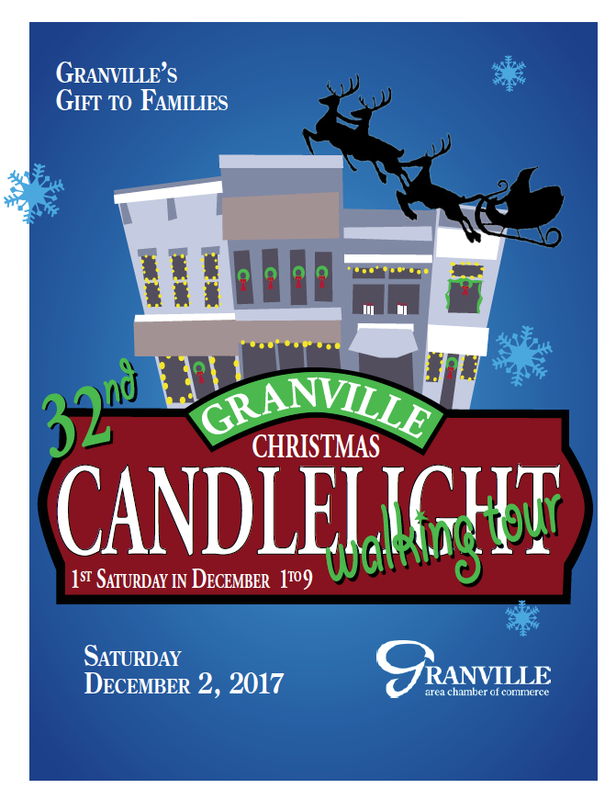 Enjoy planning your day in Granville for the 32nd Annual Granville Christmas Candlelight Walking Tour! 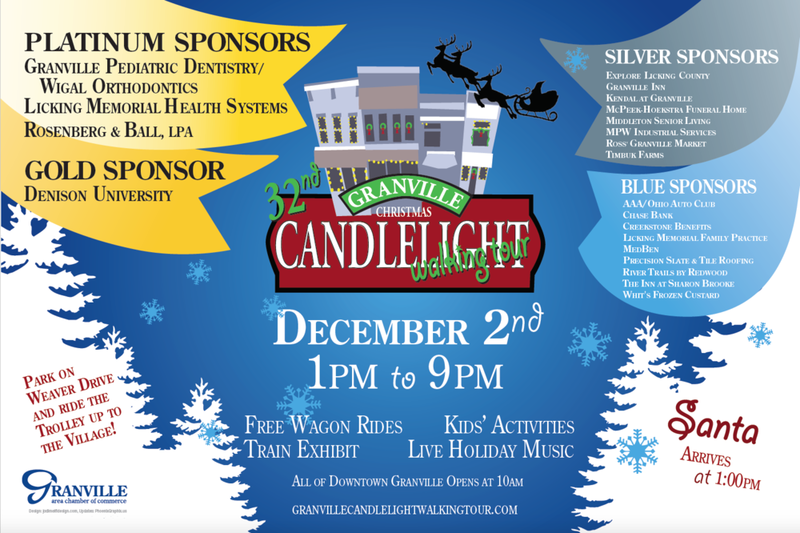 Print programs will be available at Village Hall and the Granville Area Chamber of Commerce on Saturday, December 2. A HUGE Thank you to our sponsors and volunteers. We look forward to welcoming record crowds to the event on Saturday! Participation forms are now available! So many of you have been asking, so here it is! The participation form for the 32nd annual event is now available! We look forward to enjoying this amazing season with all of you. Click here for the participation form! The most wonderful time of the year will be here before we know it! 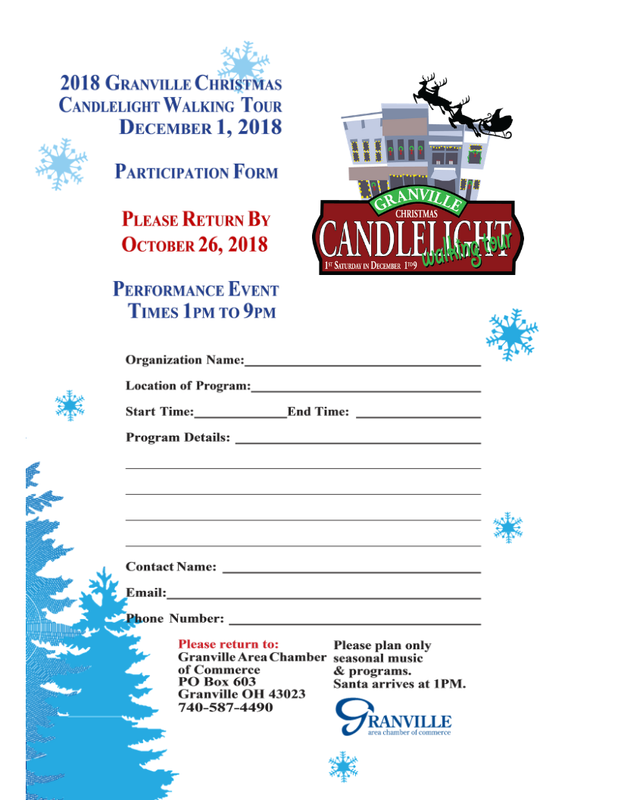 Some busy elves are already working hard on the 32nd Annual Candlelight Walking Tour! Watch for more information and sponsorship opportunities soon.